RSVP Today for the Mad Monster Party Action Figures! May 2012 - The stop-motion holiday specials of Rankin/Bass Productions are legendary. Rudolph the Red-Nosed Reindeer, The Year Without a Santa Claus, Santa Claus is Comin' to Town... each has been remembered as a Christmas classic. But not everything Rankin/Bass did was reindeer and candy canes. 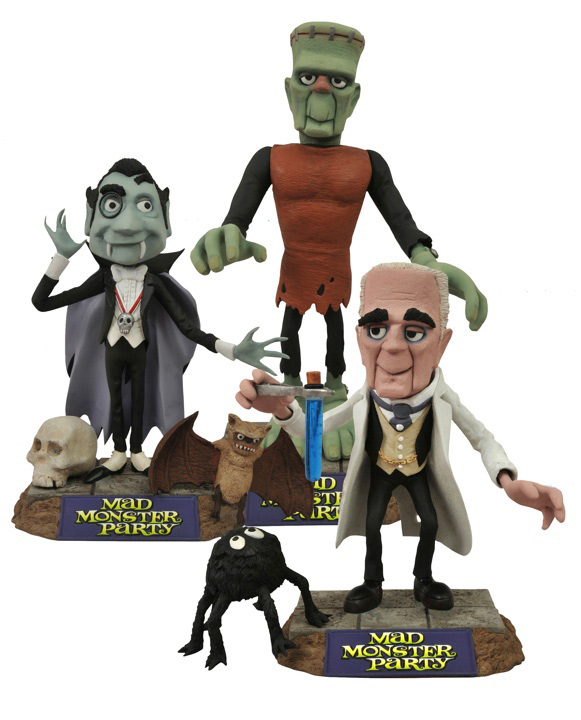 In 1967, they unleashed on theaters the stop-motion feature film "Mad Monster Party?," a kooky love letter to the classic monster movies featuring pretty much every famous monster you can think of and then some. A cult favorite, the movie has gone 45 years with almost no tie-in merchandise... until now! DST x NYTF Round-Up: Mad Monster Party! 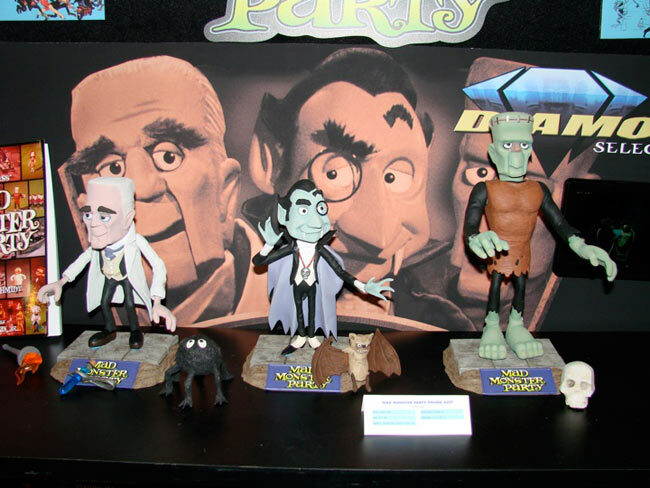 February 24, 2012 - Diamond Select Toys revealed a bunch of cool new licenses at New York Toy Fair, and one of the most awe-inducing reveals was the classic Halloween property Mad Monster Party! Based on the 1967 Rankin/Bass feature film, the movie featured all of the famous monsters in the studio's classic stop-motion style, and so will the action figure line from DST! The first assortment of 7-inch-scale figures should be out in September, and will include Dracula, the Monster and Baron Boris Von Frankenstein, based on the likeness of vocal performer (and horror legend) Boris Karloff! Check out these shots from the DST booth! February 2012 - Diamond Select Toys knows monsters -- after all, the Maryland-based collectibles company has been making toys and statues of vampires, aliens and werewolves for almost 13 years. 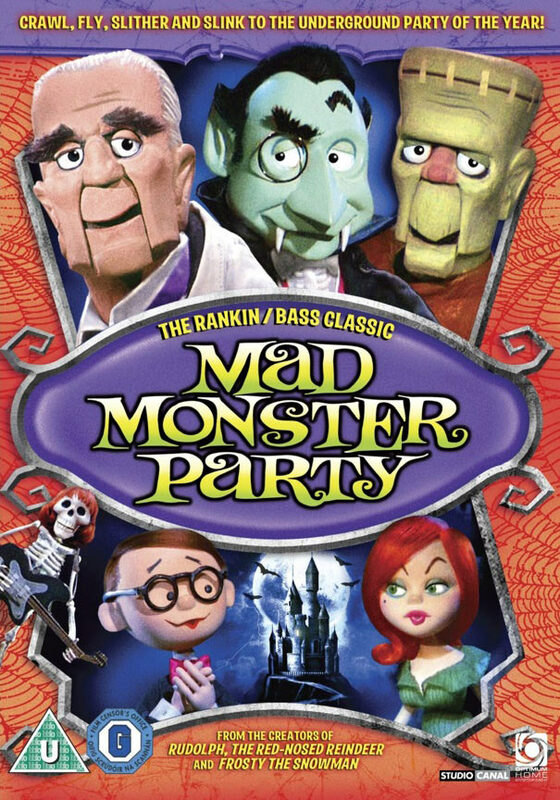 But they are especially proud to announce the latest property to join their horror line-up: Mad Monster Party, the classic film by Rankin/Bass, animators of Rudolph and the Island of Misfit Toys and Santa Claus is Comin' to Town. Using the same stop-motion animation style they used for their Christmas specials, Rankin/Bass brought all of pop culture's most famous monsters to the big screen in 1967, and now Diamond Select Toys will bring them to the toy aisle as a line of fully poseable action figures.